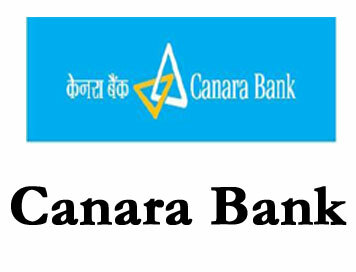 The eligible candidates are required to apply ON-LINE through Bank’s website www.canarabank.com. The link for registration of application will be open in our website on the dates indicated at the top of this advertisement. Candidates are required to visit the Bank’s website http://www.canarabank.com/english/careers/recruitment click on the link “RP–2/2017 – Recruitment of Probationary Officers in JMGS-I on completion of specially designed PGDBF Course”. Candidates are required to upload their photograph and signature as per the specifications given in the Guidelines for Scanning and Upload of Photograph and Signature (Annexure I). may disqualify the candidature. Candidates should fill all the fields in the on-line application. Candidates are advised to carefully fill in the online application themselves as no change in any of the data filled in the online application will be possible/ entertained. Prior to submission of the online application candidates are advised to use the “SAVE AND NEXT” facility to verify the details in the online application form and modify the same if required. No change is permitted after clicking on FINAL SUBMIT Button. Submission of incorrect / false information in the online application will render the candidature invalid. After completion of on-line registration, candidate should take system generated print-out of Registered On-line Application.